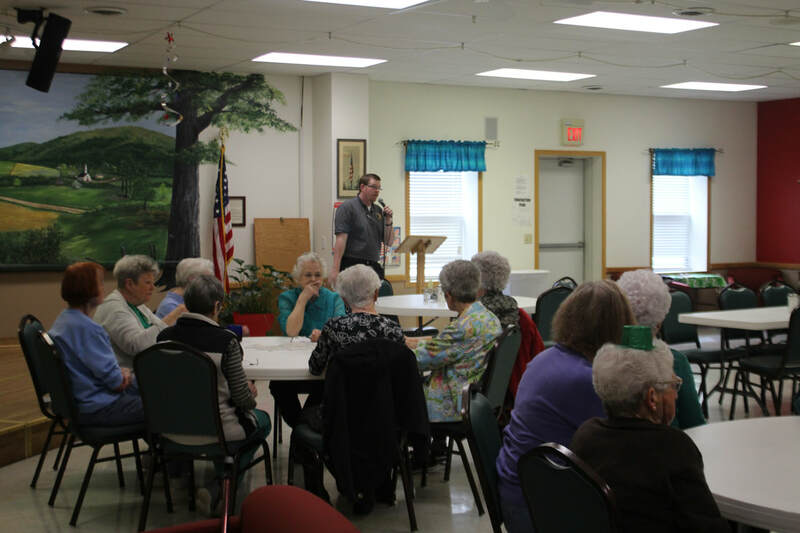 Barry County E91-1 Center representatives visited with senior citizens at the Cassville Senior Center last week to talk about services and need-to-know information useful to them. The outreach focused on providing correct information to 911 telecommunicators and the differences between calling 911 from a cell phone versus a landline. Pictured above, E9-1-1 director Mike Phillips addresses the group during lunch.